Better storage for the bottle means more enjoyment in the glass. 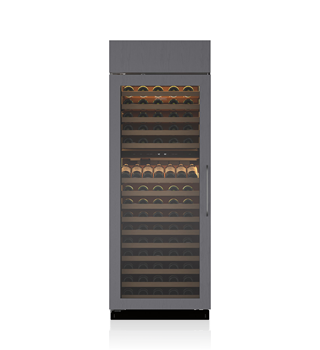 Sub-Zero wine preservation units act not merely as coolers but as guardians against heat, humidity, vibration and light – the four enemies that can rob wine of its complexity and character. 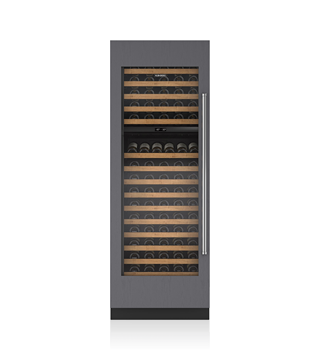 Available in three widths, from 48 cm to 76 cm, with 46- to 147-bottle capacity, they let you bring the pleasures of wine into any room in your home. Temperature, humidity, light, vibration – all these things can harm the flavor of your favorite Chablis or Cabernet. 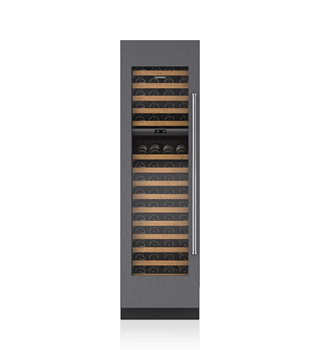 But Sub-Zero wine storage blends superior-grade materials, advanced technologies and a 70-year tradition of American craftsmanship to defeat the enemies of wine, and make sure that you'll always get the best out of every glass, with every bit of taste that the vintner intended. No one likes premature aging. But that is what excessive heat and unstable temperatures cause in wine. 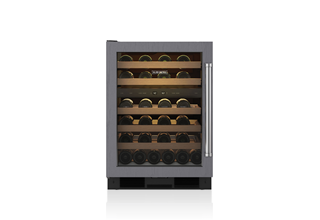 Sub-Zero maintains wine’s preferred habitat – cool and steady – in up to three independent temperature zones. Each can be set in a range of 4⁰C to 18⁰C, and digital controls hold the temperature within one degree of the set point. 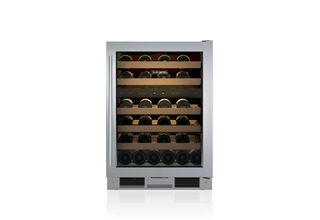 So both white and red wines can be served at the temperature that brings out the very best in their taste. Light affects aging and has been implicated in causing unpleasant aromas. That is why many winemakers use dark bottles. 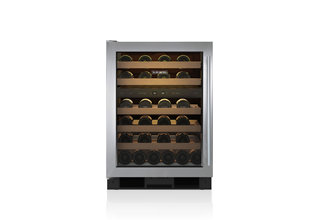 But invisible ultraviolet light penetrates even dark glass – not to mention the glass doors of many wine cooling units. 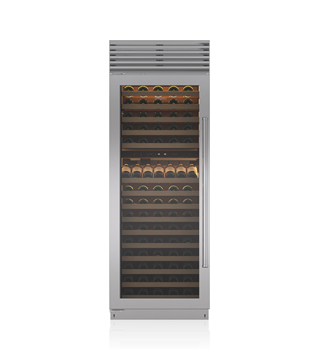 Sub-Zero’s UV-resistant, bronze-tinted glass shields wine from those harmful rays, protecting taste and odor. Our latest Integrated units have a darker, cocoa-black rear wall for even more effective protection against light damage. When it comes to humidity, wine appreciates moderation. Too little moisture in the air makes corks dry out and shrink, letting the wine oxidize. Too much moisture makes labels peel and rot. 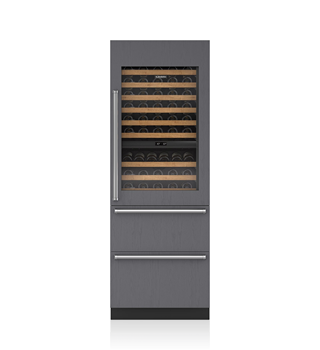 Sub-Zero’s dual evaporators – one for each storage zone – maintain steady, moderate humidity. A rough, noisy compressor would disturb more than the peace of your household. Mechanical vibration can damage delicate wines, such as pinot noir. Sub-Zero's quiet compressor lets wines rest undisturbed. 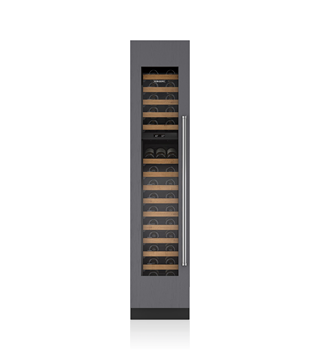 Bottles are cradled in rustproof, coated shelves that glide smoothly in and out, providing access without agitating the wine. New Integrated units also have an improved door hinge system for softer opening and closing, further minimizing agitation.